Shelf Love has been around since 2008, and until this year it was never difficult for me to post whatever I wanted to about what I was reading. Teresa and I have both always taken the view that we do this because it’s fun, so if it stops being fun, we don’t do it. In many ways our delightful laziness aligns, and we are in agreement on this score. No challenges, no pressures, no stacks of books looming over us, no certain number of words a day, nothing we must read in order to please our hordes of fans. (Er… hello, is this thing on?) We just… read what we want to read, and then we write about it. This year has been a little different for me. My book count is way down this year, and I’ve been faux-destressing with television instead. The books I’ve read, I haven’t written about. I’ve got at least ten or twelve wonderful books I’d genuinely like to write reviews of — I’m totally convinced you’d love them as much as I did — but I can’t seem to muster the energy to talk about them, even briefly. For some reason, this year is swallowing my reading. Some of you may already know that Laurie Colwin is one of my favorite authors. Her novels are perfect: funny without being farces, serious without being heavy. Besides her novels and short stories, she also wrote a column for Gourmet magazine. Home Cooking (and its sequel, More Home Cooking) is a collection of these columns, and it, too, is exactly right: funny, touching, practical, wise. She has chapters on many of the food situations we all find ourselves in, whether we like it or not: food disasters, finding ourselves alone in the kitchen with an eggplant, cooking for a crowd, making our own version of comfort food. The book is half memoir and half practical application, and Colwin talks about her days in a tiny kitchen in Manhattan, draining her pasta in her bathtub because her kitchen sink was too small, or making hundreds of tuna fish sandwiches at a protest for the SDS in the sixties. Most of the chapters contain a recipe for something you might not expect: toasted cheese, beef tea, rosti, shepherd’s pie for 150 people. By the time you read the recipe, you’ll be expecting the unexpected, though. In fact, you’ll wonder how you did without it. This was a re-read for me, and as many re-reads can be, it was deeply comforting and pleasurable. 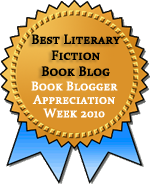 Not only is Laurie Colwin a wonderful writer, she reassured me that I’m still capable of deriving pleasure from the books I love, and that I still belong here on the blog. This entry was posted in Food, Memoir, Nonfiction, Short Stories/Essays. Bookmark the permalink. Oh, I love both of Laurie Colwin’s Home Cooking books! My copies are falling apart and certain pages are covered with food stains. I have actually not read More Home Cooking because I can’t bear to live in a world where there is no more Laurie Colwin left for me to read. But I think I will finally break down and read it. I should, right? Why don’t you simply give us a list of the 10-12 wonderful books you’ve read this past year? It’s okay if you don’t write reviews for them – we will appreciate the list all the same! Easy, right? Good idea! I second that request. Well, that’s a good idea. Maybe I’ll pop that up and if I get a request for a certain review, I’ll put it to the front of the queue. Dear Jenny, You and Teresa are always worth a read, so don’t worry too much that your blogging schedule isn’t what you think it ought to be. “Ought to” is a way to madness sometimes. I will always be glad to read you (and there’s always the possibility of tracking down the book(s) or scripts the shows you like are related to. Or, broadening your website to include a tv show page as a special feature. Anyway, it’s a thought). Speaking for myself, I started blogging every other day, which soon shrank to every four days or so, then irregularly, then once a week, now I’ve been “off” for nearly two weeks, and am trying to read a book so that I can do the post I want to do on it. But I’m reserving the right to be picky is what it is, because this is what I want to post on next, so that’s just the way it is. Cut yourself some slack; you run a great blog! Thank you so much! You’re right that the pressure is all in my head — it’s just that I really want to do this writing, and then it gets to be overwhelming. But you’re kind to give me permission to be picky. The books I’ve read, I haven’t written about. I’ve got at least ten or twelve wonderful books I’d genuinely like to write reviews of — I’m totally convinced you’d love them as much as I did — but I can’t seem to muster the energy to talk about them, even briefly. I absolutely feel for you. I’ve been there many times myself, usually because I’ve been doing too much reviewing, sometimes through lack of confidence, and other times because I rebel against my self-imposed regime. I used to make a pile of the books I’d read but hadn’t written about, but found That Didn’t Help. Eventually I realized that the only place I’m currently “reviewing” for is flippin’ Goodreads, so, if all I can bring myself to do is write a few hasty lines, it really doesn’t matter! But you’ve written so many great essays here I don’t think you should be worrying about the fact that right now you feel like writing fewer than before, or that you ought to be aiming for some kind of “completeness.” As you say, it’s a blog: if it’s fun, do it; if it’s going to be a chore, don’t.. . .
That’s exactly what I did! I made a pile of the books I’d read but hadn’t written about, and That Didn’t Help. I see we are on the same wavelength here. That’s why I’m removing the pile. If I get to it eventually, great, but if not, oh well. It’s not as if Me Public is standing outside the gates, wondering what happened to Little Nell. Wait, something happened to Little Nell? Oh no – I’ll be devastated if anything has happened to Little Nell. Oscar Wilde was apparently pretty devastated, too, by what happened to Little Nell. I’ve read some of Laurie Colwin’s essays, most recently in a book about cooking for one. The mention of eggplant immediately struck a chord! I am glad that her books helped you feel connected again. I’m always glad to see your posts, and Teresa’s, in my reader – whenever & however they come. And I totally relate to “faux-destressing with television instead”. I lost access to cable for a couple of weeks – and they were wonderfully peaceful & productive. Now that I have it back, I’m considering cutting it off again. I read that book years ago, the one about Alone in the Kitchen With an Eggplant! I thought it was most enjoyable. And I’m glad to be back. I really think the TV destroyed some of my will to live. I feel wary of it now: perhaps if I only watch high-minded European films…? I love Laurie Colwin, too! I’ve been in a reviewing slump, too, so understand your feelings! I think part of my bafflement is that in over six years, this hasn’t happened before. I guess I need to get used to the idea that Slumps Aren’t Just for Other People. That realization hit me kind of hard, too! I had always been sporadic about posting, but pretty faithful to it until this recent slump! Weird, you and bibliographing return on the same day. Welcome back. I have not read Home Cooking but a fair amount of it has been read to me by ma femme. It is a funny book. It is a funny book. I like the part where she says it is lucky she never met Wilt Chamberlain because if she had invited him in for coffee he would have been unable to spread his arms in her room which was roughly seven by twenty. Thank you, Vicki — it has always been fun before, and I have missed it. As I said to Lisa, I read that book years ago, and thought it most enjoyable. Laurie Colwin’s food writing is marvelous, but so is all her other writing. Do take the trouble to find it. I think you’d love her. I know a few other people who have been having a hard time with reading this year. Don’t beat yourself up about it. These things happen and it is ok. Enjoy the reading you are doing and write whenever you feel like it. We’ll all be around and pleased as punch whenever you pop by. You’re so kind, Stefanie. I want to be here, and having the leeway to do it as and when I can is a lovely thing. Do be careful of that eggplant. It’s curious how sometimes the groove of writing reviews is comfortable and easy, and sometimes it’s a chore to even give a star rating on Goodreads. I love food memoirs, too. (And I read cookbooks as if they’re memoirs, sometimes.) I really recommend Laurie Colwin, whether it’s her food writing or her novels. Well, definitely don’t feel that there is any pressure from US to write when you do not feel like writing. It’s always wonderful to hear from you, of course, but we do not get cross when you are away doing other things. You knew I needed to hear you weren’t cross, didn’t you? Thank you, Jenny. I read both of the Homecooking books before I discovered that Laurie Colwin’s had died at the tragically-young age of 48. It’s heartbreaking to think that there won’t be any new books (culinary or otherwise) from her. Btw, Colwin’s recipe for gingerbread is outstanding–the best I’ve ever made or eaten. I’ll take that recommendation, Deb — this weekend seems like a good one to make gingerbread! I stumbled upon Home Cooking several years ago – I guess I didn’t know she wrote fiction as well? I have a feeling I would like that, also.